Cod liver oil information gives you the correct perspective on benefits, side effects and how to find a product that will really provide the health advantages for which this superfood is known. Unfortunately, many products claiming to be the best do not live up to what they claim. They can't - because the legendary health benefits are conferred by this special food ONLY when it is made in the traditional way. 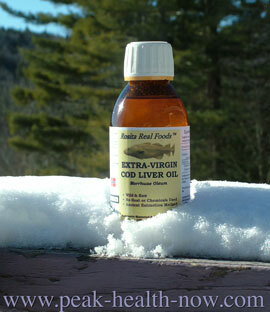 REAL cod-liver oil has a vast complex of compounds undisturbed by any form of modern-day processing. For example, did you know that almost all brands claiming to be this wonderful food destroy the vitamin A and vitamin D because of the way the oil is processed - then add them back in later in the form of synthetic vitamins? Naturally-occurring Vitamin A and Vitamin D complex (just as Vitamin B comes in many forms like Thiamine B-1 and Riboflavin B-2, Vitamins A and D as they occur in nature are really a complex, not just one compound. 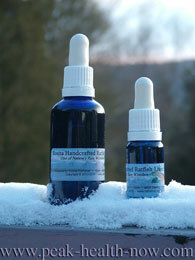 EPA, DHA, Omega-3 essential fatty acids AND some omega 6, 7 and 9 as well. A rich variety of phospholipids, renowned for their benefits to organs, skin, brain and liver among other tissues. Genuine cod liver oil information will help you gain expertise in choosing a product that confers great health on so many levels. Do you know that this renowned food supports your bones, joints, brain, skin and hormonal balance? Please enjoy the following articles. This will ensure you have the cod liver oil information you need to make an informed choice of a product that lives up to the reputation earned by the real thing!